GALION — The next Krichbaum Community Concert Series will present “My Favorite Sings: Showtunes and Stories.” This will be an informal, cabaret-style concert in the café (lower level) at Christ United Methodist Church on Sunday, Nov, 4 at 3 p.m. The Krichbaum Community Concert Series was established by the family of Herb Krichbaum in 2016 to honor the long-time teacher and choir director and give back to the community. 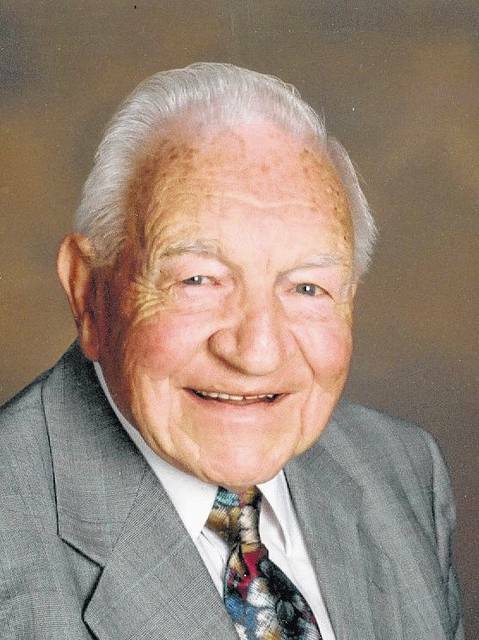 Krichbaum had a long legacy of musical contributions to Galion High School and Christ United Methodist Church. This concert particularly celebrates Krichbaum’s role in bringing the first musical theater productions to GHS. Thomas Palmer, Galion’s City Law Director, was in the next musical production in 1975 in which Krichbaum was a co-director with the legendary Miriam Sayre. They presented “You’re a Good Man, Charlie Brown.” Palmer, cast as Schroeder in the show, recalls that they got along well with only “an occasional tug-of-war” between the strong personalities. Hoover states that Sayre did not like musicals, stating that “where in real life do you stop kissing someone and break into song?” However, both shows were hugely popular and well-attended. The performers for this upcoming concert of showtunes and stories are Melissa Brobeck and Jeff Daubenmire, both accomplished, Athens-based musicians. These dynamic musicians will entertain audiences with songs from the musical theater as well as stories from Melissa’s personal experiences in the theater. Meanwhile, the audience will enjoy snacks and drinks in this cabaret setting. Christ United Methodist Church is located at 130 E. Walnut St. in Galion. There is no admission charge, and donations are welcome to maintain the fund to sustain continuation of the series.